We are located off Interstate 80 at exit 75. The Hampton Inn & Suites Peru hotel puts you near all the fun things to do in Peru. When staying at our hotel in Peru, IL, explore the town's antique shops and family-owned restaurants or view a movie at the cinema. Peru Mall is just a ten-minute walk from our hotel. 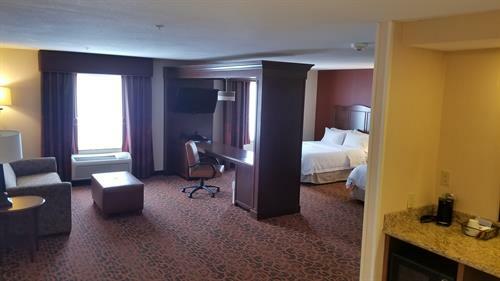 Located in the Illinois Valley, the hotel is surrounded by state parks including Starved Rock State Park, Matthiessen State Park, and Buffalo Rock. Enjoy a tranquil retreat to unwind in while working or sight-seeing in Peru. 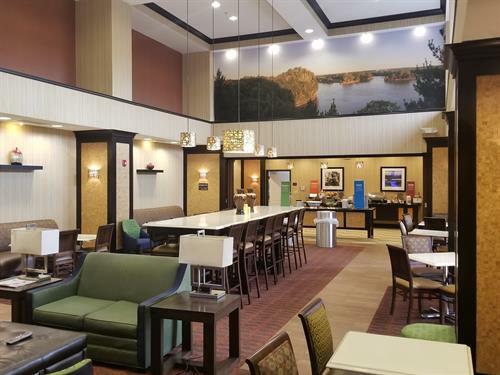 From Hampton’s free hot breakfast every day to free Wi-Fi access in all rooms, our hotel guarantees a valuable stay. Select from hot and cold breakfast items from the buffet or grab a Hampton On the Run® Breakfast Bag to go. 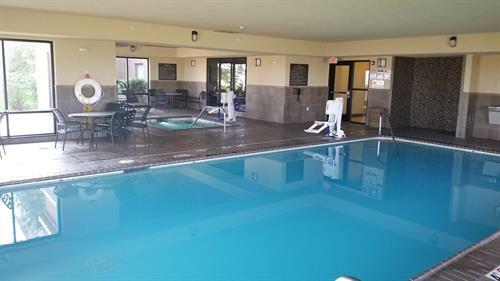 Start the day with a workout at the fitness center, or a dip in our indoor swimming pool and whirlpool, and check emails at the business center. 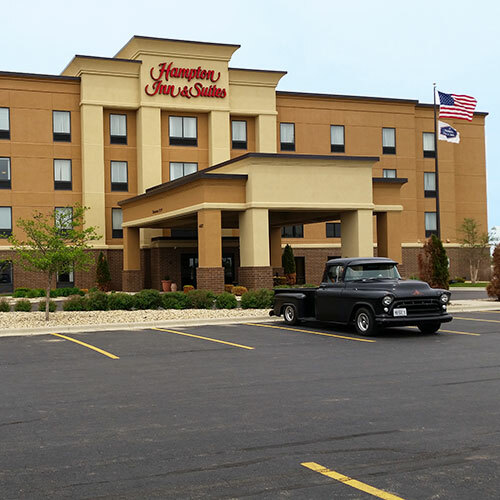 Retire for the night to a comfy guest room and relax on the clean and fresh Hampton bed® at our hotel in Peru, Illinois.